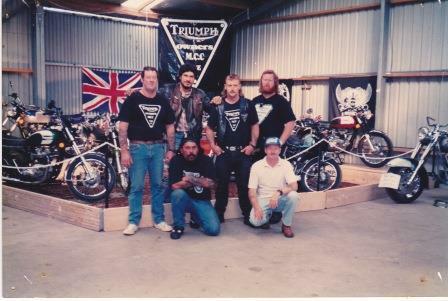 About Us | Triumph Owners Motor Cycle Club NZ Inc. The club has active chapters in Northland, Auckland, Franklin, Waikato/Bay of Plenty, Taranaki, Wanganui, Manawatu-Wellington, Canterbury, Dunedin and Invercargill. We also have smaller clusters of members in the Central Plateau, Hawkes Bay, Nelson, and the West Coast of the South Island. A National Rally is held every year in February, which alternates from the South to the North Island. Become a member of the TOMCC New Zealand and enjoy the many benefits of membership, socialise with people with the same interest in motorcycling, gain access to businesses that extend discounts to members. If you wish to find out more information about us contact the area coordinator closest to you by clicking the Chapter Links or for the smaller areas click Area Contacts.